A 320 – page poetry anthology dedicated to Nepal, Nepali, Kathmandu, the Himalayan Range, rivers and the country's cultures has been published. 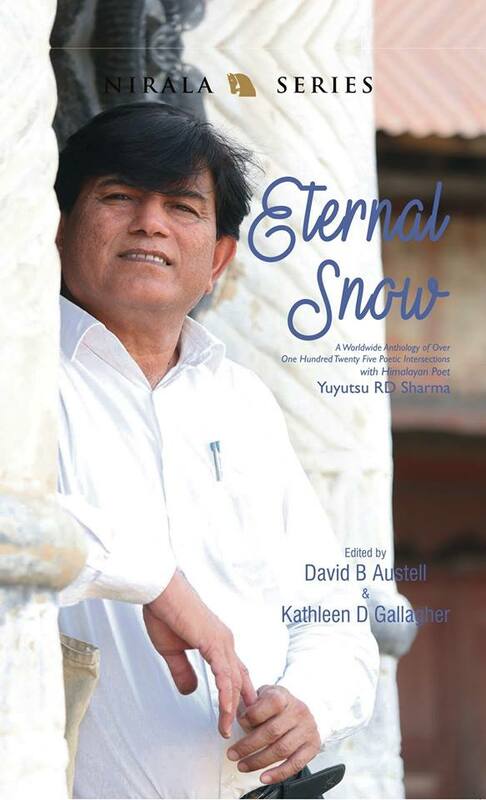 'Eternal Snow – A Worldwide Anthology of One Hundred Twenty – Five Poetic Intersections with Himalayan Poet Yuyutsu RD Sharma' explores the interaction, collisions, and intersections of 125 poets from four different continents. The anthology – published by Nirala Publications in New Delhi and edited by American litterateurs David Austell of Colombia University, New York and Kathleen D Gallagher of the University of Akron Ohio – constitutes poems written by professors, scientists, social workers, photographers, priests, yoga teachers and stewardess among others. 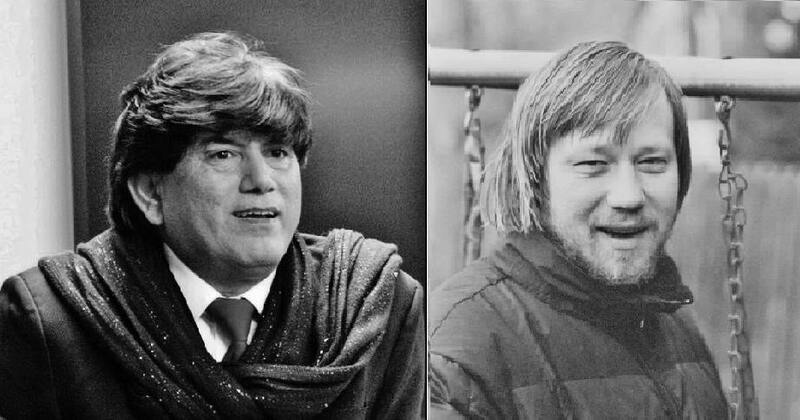 They wrote the poems on Nepal following interactions with the Himalayan Poet during his world tours. 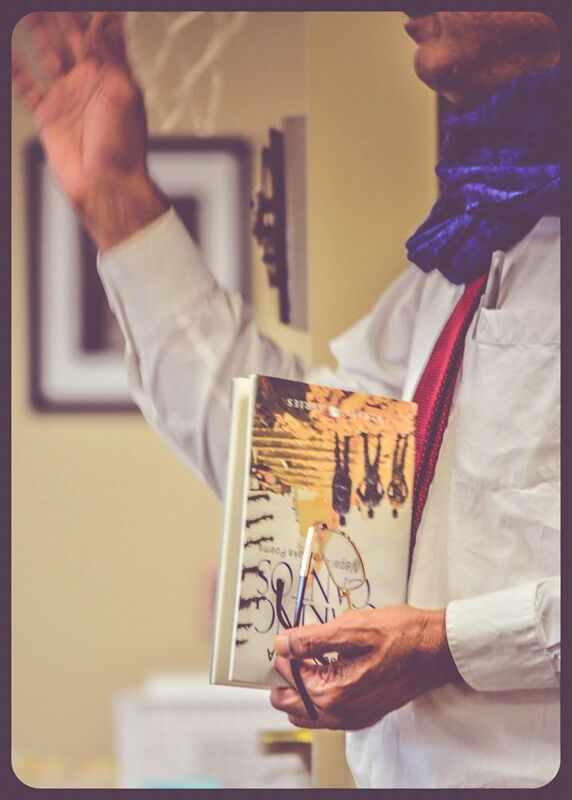 Sharma said the anthology is a testament to the power of words to inspire, encourage, and heal across vastly disparate cultures and distant places. 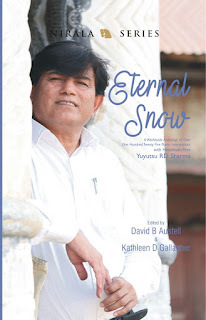 Yuyu has touched the hearts and minds of a multitude of people and writers around the world, as evidenced in this wonderful book, Eternal Snow…The poetry included in this volume speaks to the constant intersections with Yuyu Sharma, collisions of persons, spirits, literary visions, affect and effect, all of which have at their center this remarkable person and precious talent. It is my delight and honor to be among such a cloud of witnesses. 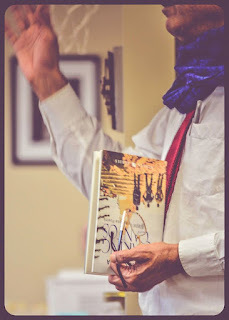 No matter where the poets live, from a small city to large, to countryside or village, Yuyutsu’s poetry and teachings transform writers from across the world, allowing them to reach into their own writing dreams and visions. 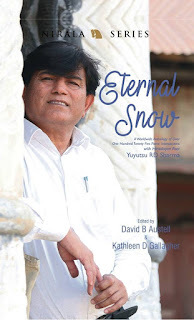 Indeed, each poet no matter his or her walk in life, whether professional poet, performer, professor, minister, or word-loving hairstylist who scribbles down thoughts about her love for her dying mother, all have discovered his or her own creative awakenings when encountering Yuyutsu Sharma’s work. Yuyutsu’s work has far-reaching effects in personal transformation. 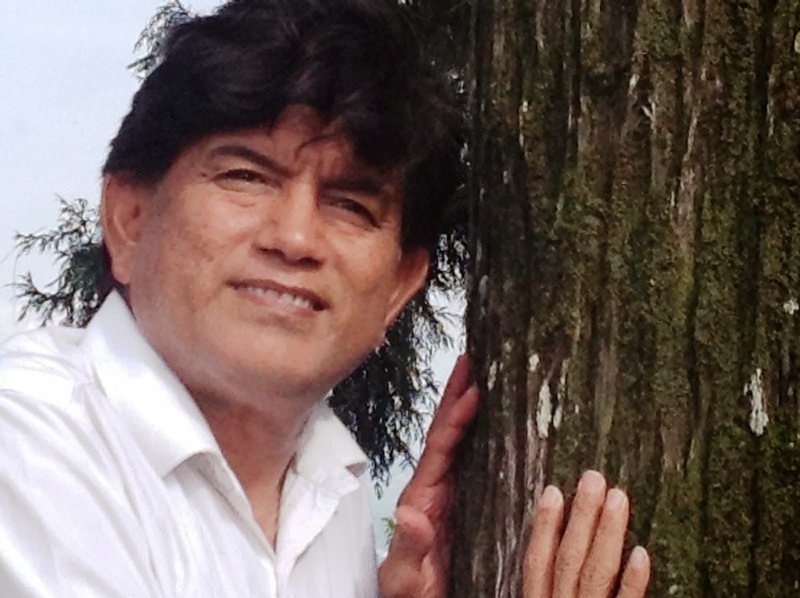 Responding to the trauma of Nepal’s great tragedy through poetry. 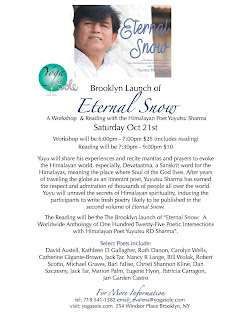 India-born poet Yuyutsu Sharma is known as a “Himalayan poet,” as he has spent years in the Himalayas in Nepal listening to the silence of the mountains and using that as an inspiration to write poems. However, the 2015 earthquake in Nepal, which killed at least 9,000 people, shattered his celebration of the quietude that he had been relishing. That’s when he wrote a series of poems on the calamity, published earlier this year as a book, Quaking Cantos: Nepal Earthquake Poems. In this video interview with The Diplomat, held in Kathmandu in June 2017, the poet recalls his emotional reaction to the earthquake and recites stanzas from his poems.